This Saturday, May 26, Maalaala Mo Kaya will showcase the beauty of Masbate, which is touted to be the "rodeo capital" of the Philippines. This episode will feature the life story of the first rodeo queen Gemma Layson, to be portrayed by Pinoy Big Brother Teen Edition 3 ex-housemate Yen Santos. MMK's "rodeo" episode will showcase the breathtaking sceneries of the province and its colorful ingenious traditions, including the grand competition of cowboys nationwide called "Rodeo Masbateño." In the story, Gemma aspired for nothing but to finish her studies and give her family a better life. But due to poverty, Gemma had a difficult time in achieving her dream because her father who did not want to send her to school. With the lack of support, she decided to compete in "Rodeo Masbateño" and become one of its cowgirls. Gemma did not mind the danger of being a cowgirl, because aside from her financial needs, being a cowgirl gave Gemma the happiness that she could not get from her father. 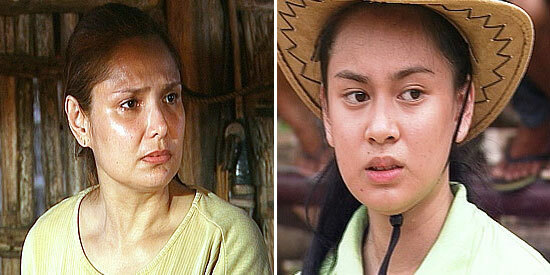 Together with Yen in the MMK episode are Akiko Solon, Snooky Serna, and Juan Rodrigo. It was researched by Akeem Jordan del Rosario, written by Benson Logronio, and directed by Nuel Naval.